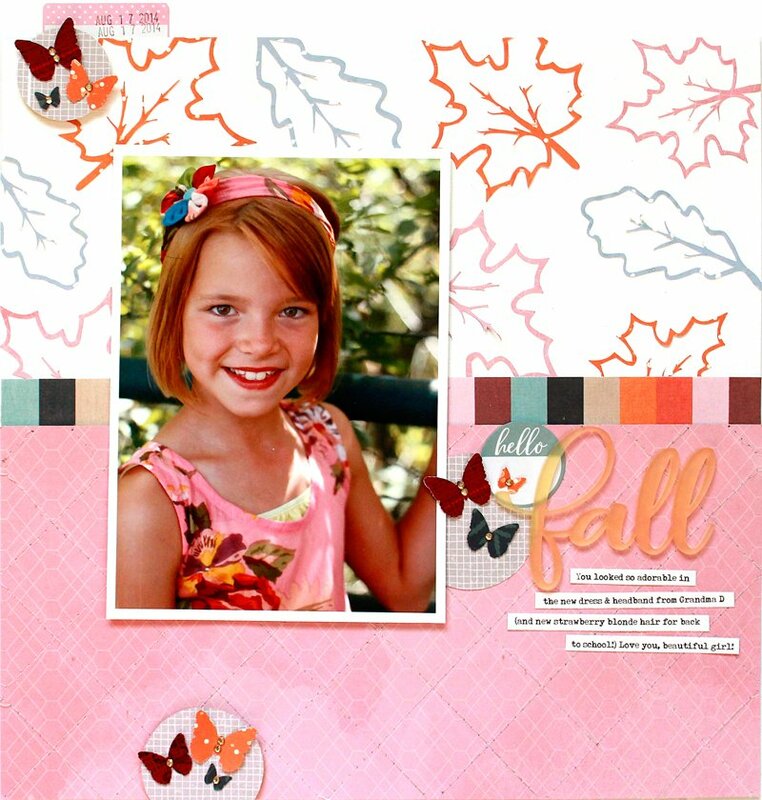 Lisa Dickinson features our new Autumn Splendor kit! I used the leaf cut files to create a pattern on the top half of my page, cutting them from various papers in the kit. I love creating this type of custom patterned paper, as it adds a touch of dimension for extra pop. On the bottom half of the page, I stitched diagonally about every inch, and then repeated the stitching in the opposite direction. It’s subtle, but the white stitching adds additional texture that I love to include in fall layouts. Don’t forget to hop over and order your Autumn Splendor kit today! (There’s also a Forever Fall card kit available for making festive fall cards). Happy September! What a stunning layout! I absolutely love the non-traditional colours used for this fall story. Gorgeous! Fall is the prettiest of the seasons and this layout matches the beauty of fall. This is so pretty. I love the mix of pink and white with the autumnal colors! I love the idea of stitching, gorgeous layout! What a splendid fall layout!! I especially loved the non traditional colors and the leaves!